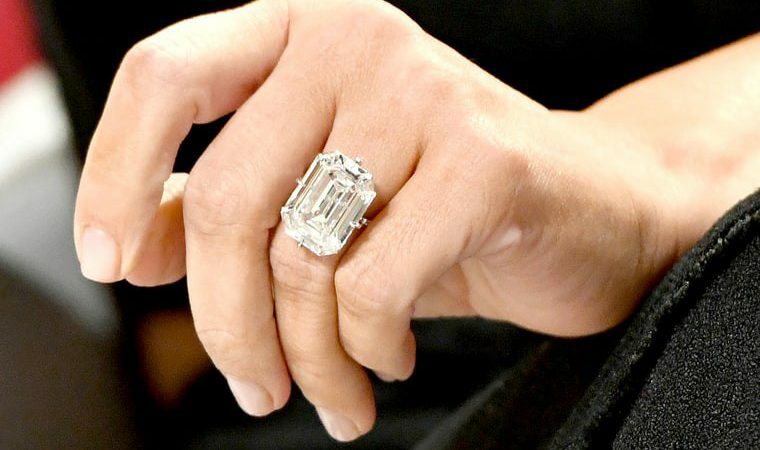 Engagements rings and their importance have evolved with time. So has their design and trends. Your man just proposed you and you are just in a dreamy environment except there is one problem: You don’t like your engagement ring. Err…Such situations can be tricky. What are you going to do? How will you deal with such a difficult situation? You are tensed but now that you don’t want to hurt the other person, you plan to stay mum. But you also can’t handle that ring stuck in your life and fingers, of course. The situation is surely hard. You imagined yourself with a specific shape, diamond cut, and design and now you’ll have to manage with something that is just not your choice. Well, don’t worry. You can surely tell get yourself out of this situation without hurting your partner’s feelings. Here how to handle such situations. To speak up about something which is bothering you is something you both have been practising since the very first day of your relationship. Now that you are unhappy about your engagement ring, you must speak up. They might feel bad for once but it is way better than being dishonest to them. You will never feel any sentiments or emotions attached to it. So, holding back your emotion is just not the solution. Just be honest with your feelings. Sometimes criticism is not unhealthy rather a constructive criticism can also make your relationship grow in a beautiful flower. You may be upset too that your partner didn’t have the ring of your choice. But you must consider this fact that they spend a lot of time choosing that one out. They also must be feeling upset and disheartened about this situation that you are not convinced with the ring. So, instead of being rude and shouting on them, you must act gently. Empathies them. Make them feel it’s ok. Just because they don’t know your choice is not going to create any big difference between you both. Support them and make them feel secure. Do your best to make them feel good. It’s ok if you don’t like the previous ring. you still have the option to buy a new one. You must be having some other design or style in your mind. Some anther colour, more or less carate of diamonds and what not. But the most important things While choosing a new ring you should make sure not to be greedy. Your partner must be having a budget and it’s your duty to respect it. Don’t make him upset that he is not worthy enough to get you what you want. Instead, support him and choose whatever suits his budget. Greedy behaviour can impact your relationship in the long run. It is surely going to affect other occasions in the future. While you are going along with your partner to choose new engagement ring or just telling him what you want, you must be specific. Also, make sure not to take all the decision by yourself. You should let your partner also have an equal say in it. Now that it’s your turn to choose what your want, stand up and tell him about your visionary ring, the one you have been dreaming since your childhood. Be vocal about your choice and specific. Also recheck if he is understanding your needs or not. If he is till confused about the vision of the ring show him some relevant pictures or so. But do make your partner a part of this process. Anyway, in the end, marriage is what is crucial and not the engagement ring. It is just a piece of mere artificial jewellery. A beautiful ring cannot add or minus love in your relationship. It is the love, pateince and respect which is going to make your life proper in all its means. So work on such crucial things.